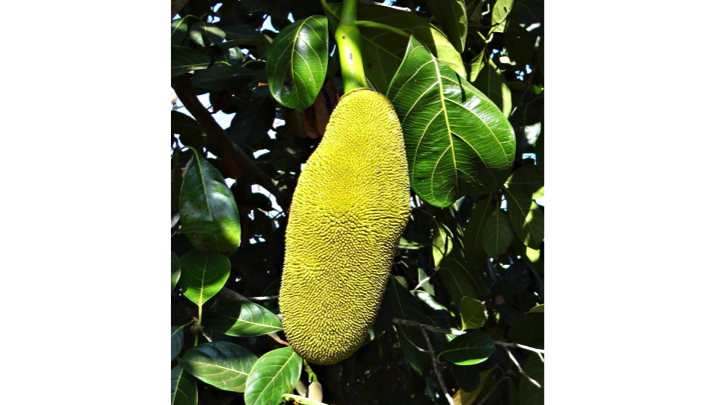 The jackfruit (Artocarpus heterophyllus) is a species of tree in the mulberry family (Moraceae). The tree is native to South and Southeast Asia. The jackfruit (Artocarpus heterophyllus) is a species of tree in the mulberry family (Moraceae). The tree is native to South and Southeast Asia. Now, this tree is cultivated in the tropical regions of India, Bangladesh, Nepal, Sri Lanka, Cambodia, Vietnam, Thailand, Malaysia, Indonesia, and the Philippines. Jackfruit is also found across Africa like Cameroon, Uganda, Tanzania, Madagascar, and Mauritius, as well as throughout Brazil and in Caribbean nations such as Jamaica. The flesh of the jackfruit is starchy and fibrous with a distinct aroma. Here are the 7 health benefits of the jackfruit. 1. Jackfruit can help upkeep your digestive system. Jackfruit possesses a considerable amount of fiber. Fiber stimulates peristaltic motion and increased secretion of gastric juices, which eases digestion, prevents conditions like constipation, and protects the body from more serious conditions like colorectal cancer. One cup of jackfruit contains 3 grams of dietary fiber. 2. Jackfruit may not spike your blood sugar levels compared to fruit juices. The glycemic index ranks food and drinks based on their blood sugar increase potential. People with type 2 diabetes must look out for foods high on the scale. Jackfruit is more slowly absorbed into the bloodstream, which prevents sugar crashes, sugar cravings, and mood swings. 3. Jackfruit can help maintain a healthy blood pressure. Jackfruit is loaded with potassium and a low content of sodium. They are well known because of its high potassium content. One cup of jackfruit contains a whopping 500 milligrams of potassium, compared to just 5.0 milligrams of sodium. This helps the blood vessels relax and maintains proper blood pressure. 4. Jackfruit can help individuals fight infections. One cup of jackfruit contains 18 percent of the vitamin C daily requirements per cup. Vitamin C is a potent natural water-soluble antioxidant that helps the body develop resistance against infectious agents and eliminates cancer-causing free radicals in the body. 5. Jackfruit may contribute to improving your hair and skin. Adequate vitamin C intake does not only improve the immune system but can also create and maintain collagen, an essential protein found in hair and skin. Also, jackfruit contains vitamin A to keep the hair moisturized through increased sebum production. 6. Jackfruit can assist in the antioxidant defense. One cup of jackfruit contains 16 percent of the mineral manganese, which is an essential cofactor in some enzymes important in antioxidant defenses. For example, some enzymes disarm free radicals produced within the mitochondria, the energy production factories within our cells, which require manganese. 7. Jackfruit can help you sleep better at night. Jackfruit has been known to help an individual sleep with its high content of magnesium, which is a mineral that is directly linked to improving the quality, duration, and tranquility of sleep. Jackfruit also helps regulate the metabolism, to help reduce sleep disorders and the occurrence of insomnia. Chandalia, M., Garg, A., Lutjohann, D., von Bergmann, K., Grundy, S. M., & Brinkley, L. J. (2000). Beneficial effects of high dietary fiber intake in patients with type 2 diabetes mellitus. New England Journal of Medicine, 342(19), 1392-1398.